-- Special for power MJX X600C WL V912 V915 quadcopter drone. -- Ideal for replacement as well as backup uses. 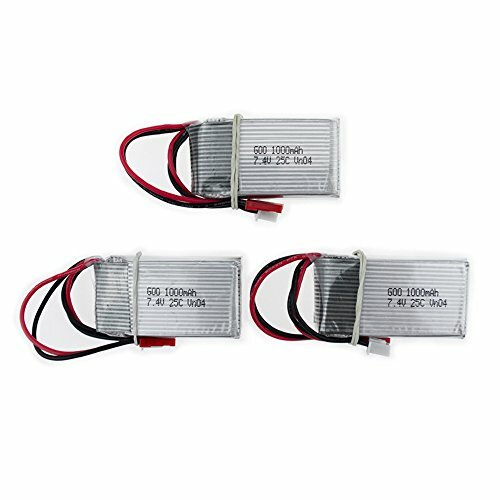 -- 1000mAh large capacity lipo batteries enable long flight time. -- High-grade materials are highly reliable and durable for long-lasting use. -- 1-to-3 charging cable, charging 3 batteries at the same time.